Randy Travis has spent the last nine years recording only gospel music, and “Around the Bend” marks his return to country. Fans should be happy, as this is a solid album throughout. And despite the overly slick production, Travis sounds relaxed, having fun with the material, including on his cover of Dylan’s “Don’t Think Twice, It’s All Right,” which is a nice take on a classic. Songs with gospel leanings still show up on the album, and on “Every Head Bowed,” Travis shows you can have fun with gospel. There are some softer, serious songs like “Love is Gamble” and “Faith in You,” but the album closes with the upbeat “Everything That I Own (Has Got a Dent)” and ” ‘Til I’m Dead and Gone,” reinforcing that, more than anything else, this is a fun album. 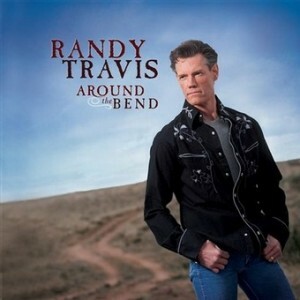 “Around the Bend” is not the place to start for a new Randy Travis listener (They should probably start with his classic, debut album, “Storms of Life.”), but for the long-time fan, this is a nice addition and a welcomed return.